Fiberglass Insect Screening is fade proof, rust proof and dent proof. Its easy to cut, easy to install screening made with a consistent mesh of unparalleled quality. 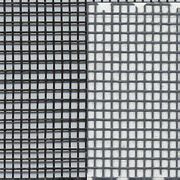 Fiberglass screening will remain attractive for years and is excellent for doors and window screens. Available in four widths.